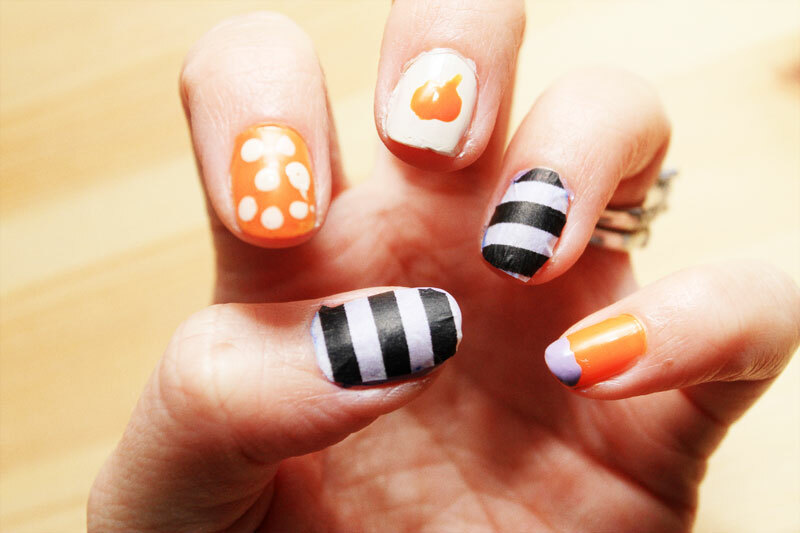 Okay, so my first official post for my “spooky” month, is going to be Halloween inspired nails. But with a twist. I love washi tape, and I had a thought the other day, that if you can stick it to anything, why not stick it to your nails for some cool nail art. The end product of that is below. I’m super excited to try out some more designs using washi tape – it takes nail art to the next level. 1. 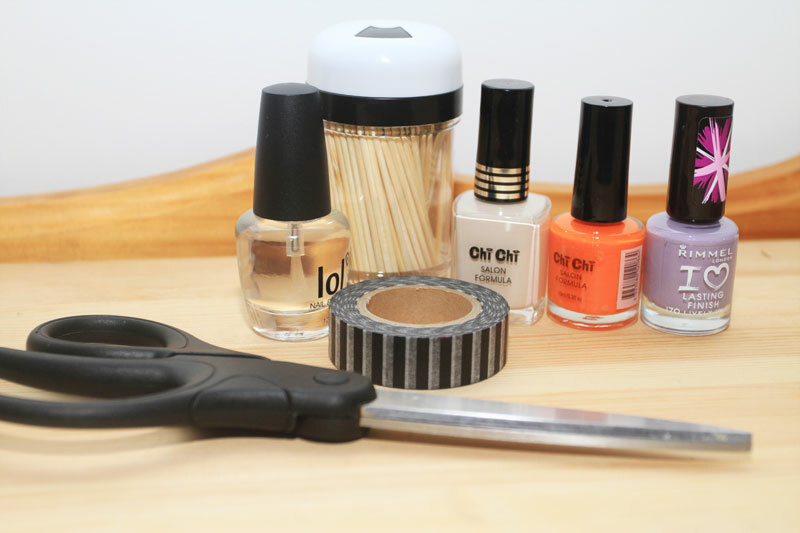 Paint your base coats. 2. 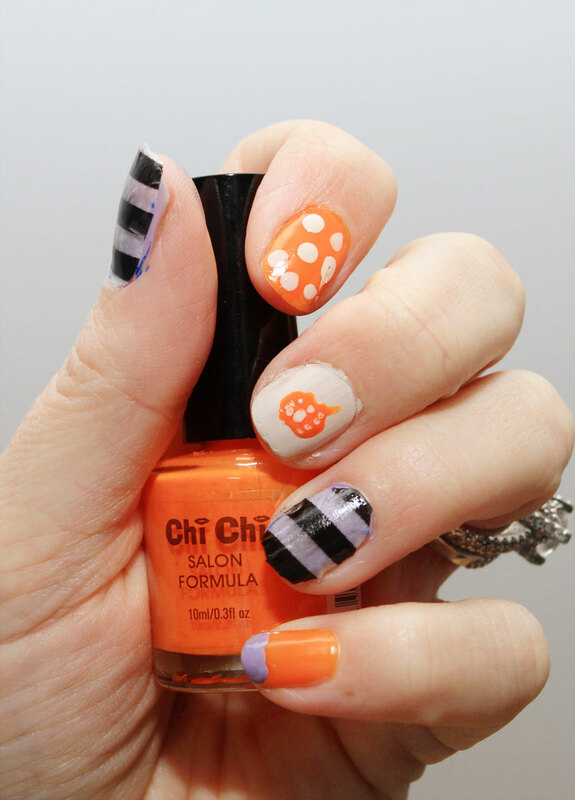 Add details I used the toothpick to add the dots, pumpkin and purple tip. I left the purple nails as these are going to have washi tape added. 3. This brings me to my next step. Cut a strip of washi tape out so that it just covers the finger. Cut it to size and shape and then secure in place. 4. Add any final details and the top coast and voila, you’re finished.